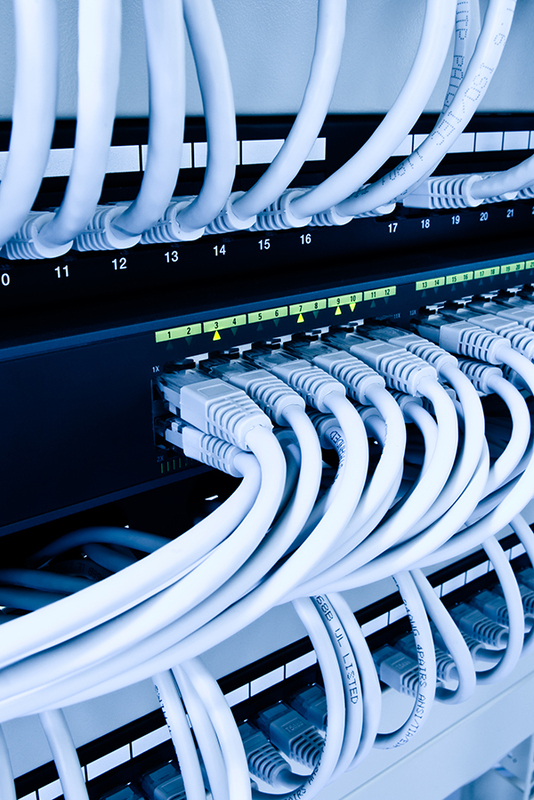 Cabling is the vascular system of your company’s internal technology. It is a vital piece of the growth of your business. As technology changes, it is important to have a structured cabling design that will allow you to easily implement the latest technology into your operation for years to come. dpcNETWORKS believes in the importance of crafting a structured cabling design with the future in mind. We will ensure optimum performance and flexibility to provide the longest life span possible for your cable infrastructure. Our structured cabling division will design and install any project consisting of voice and data CAT5e, CAT6 and fiber optic installations per BICSI standards. Whether you need structured cabling at one or multiple locations, we can assure you an efficient and methodically planned installation to ensure that things are done right the first time. We guarantee a pain-free installation with a seamless network resolution. Our projects are guaranteed and fully tested to ensure full compliance within the scope of the project. To ensure reliability and continuity complete project management is vital. Our team will assist in all design development to ensure a well thought-out and cost effective solution is achieved. Our ongoing communication with you, our client, allows for continuous progress reports and a guarantee that our project will be completed on time.